No Such Thing as September Blues at EC Montreal! The month of September is right around the corner. This means back to school for many people, but at EC, it’s always time for school! We had a very busy summer and welcomed hundreds and hundreds of international students! We welcomed students from over 40 different countries! The world really does come to us! It is technically still summer until September 20 and at EC Montreal we plan to make the most of the last warm month of the year! We usually experience Indian summer this time of year. The autumn foliage begins but yet it is warm enough to enjoy so many outdoor activities; like piknicing, sports and nature walks! The month of September is apple season! The province of Quebec has many apple orchards where visitors can go spend the day picking apples in the country. We will be celebrating the apple next month – it is our taste of Montreal in September! 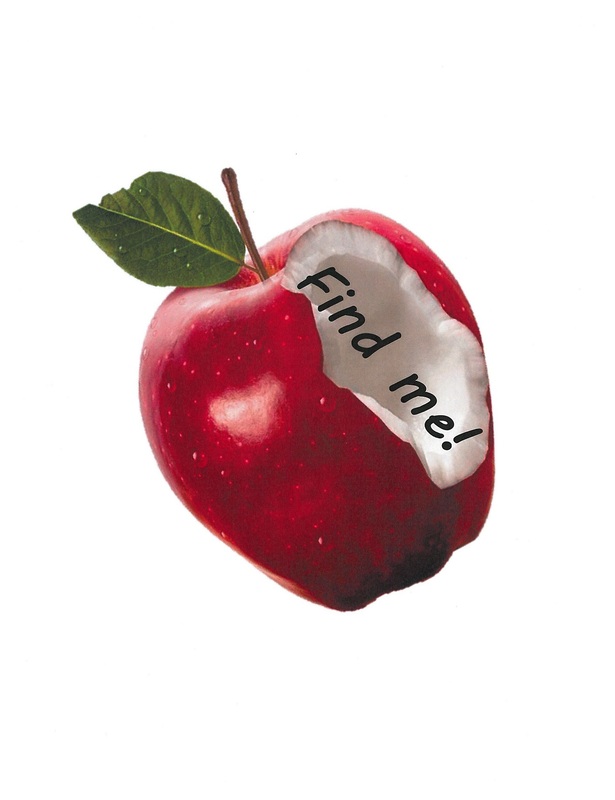 September’s thme is “An Apple a Day…” We will be hiding an apple around the school every day. Each apple has a question. The student who finds the apple must take it to the office and answer the question to win a prize. Every question is “apple” related! 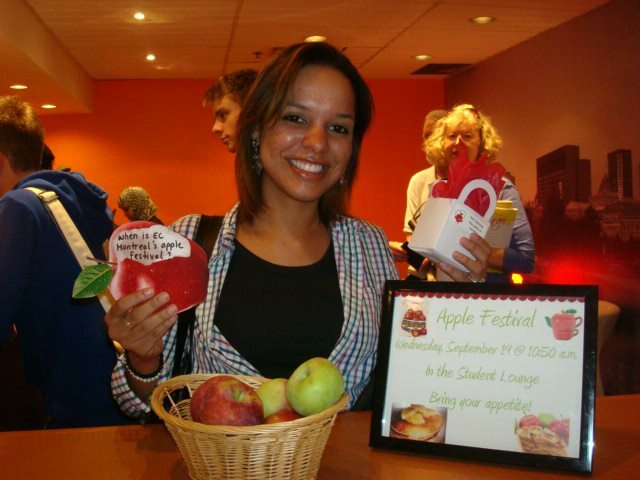 The free social activities on Wednesdays also have an apple theme. We will kick off the month with our annual Apple Festival! 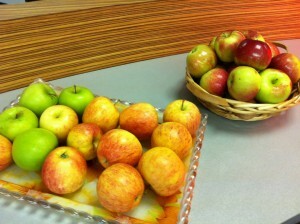 We will serve many kinds of apple treats and the different types of apples that grow right here in Quebec! The following week, we will celebrate Korean Thanksgiving! 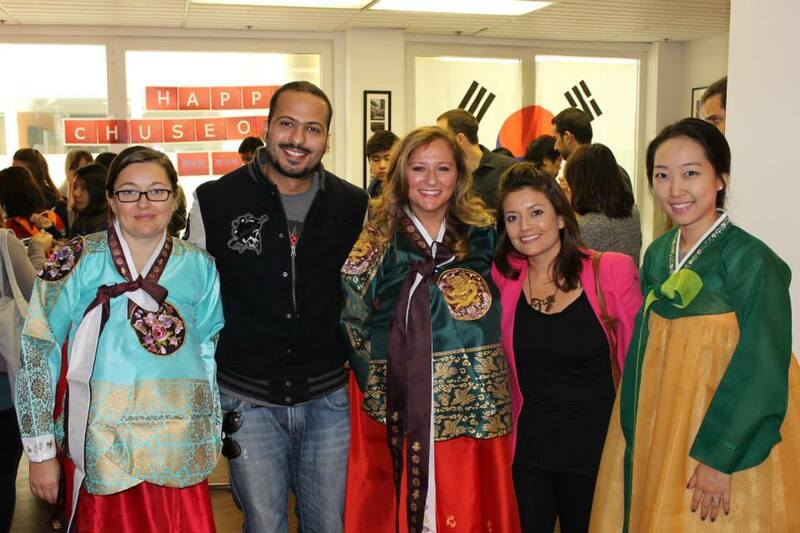 We will wear traditional Korean attire and serve delicious Korean dishes! On September 17, EC Montreal will host its annual Apple Pancake Breakfast! Paula, our grill master, will be busy flipping pancakes and serving them with a tasty apple topping! The last week of September, we will have an Appletini party in the lounge! We will toast another sweet month at EC Montreal and welcome all the fun that comes with our Haunted Oktoberfest month!